Incredible book, so much information. Mystery is a genius! It took me a long time to get good at this. It's not an easy method. This a great book, I bought this after a couple of months in the community, a few years ago. The problem is mystery method is not easy to get into, it took me more than a year to get good at it. But once you are good it really gets you results! If I remember, the book was well formatted and really worth the price. I bought the DVD Mind of Mystery when it came out, that wasn't so good and I was a bit pissed at Mystery. 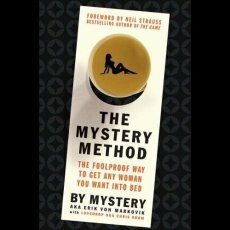 The great thing with this book is you get 95% of mystery method for a very cheap price.